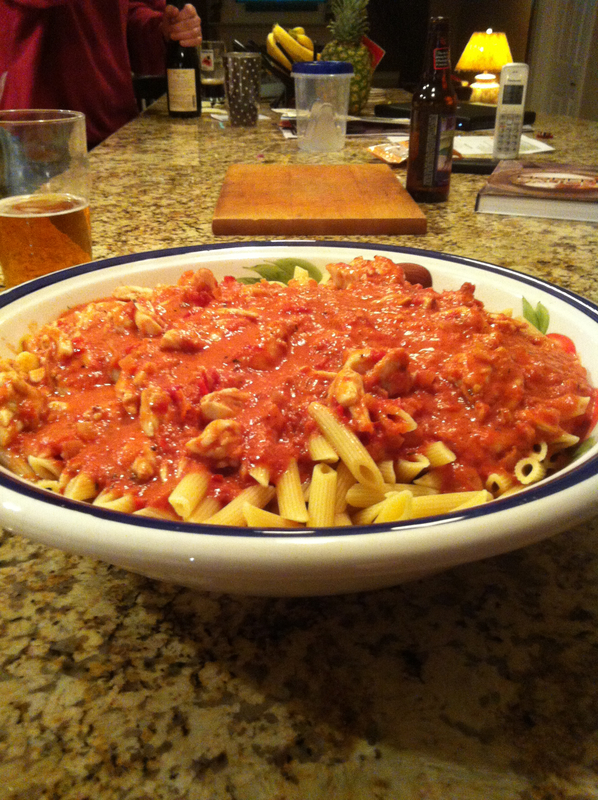 1) Cook the pasta according to the package directions, omitting salt and fat. Drain and keep warm. 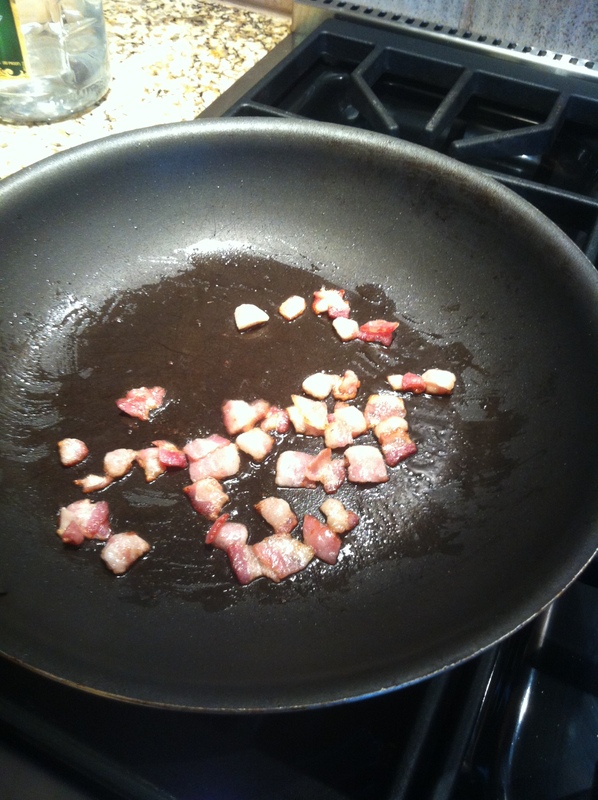 2) Heat oil in a large nonstick skillet over medium-high heat. 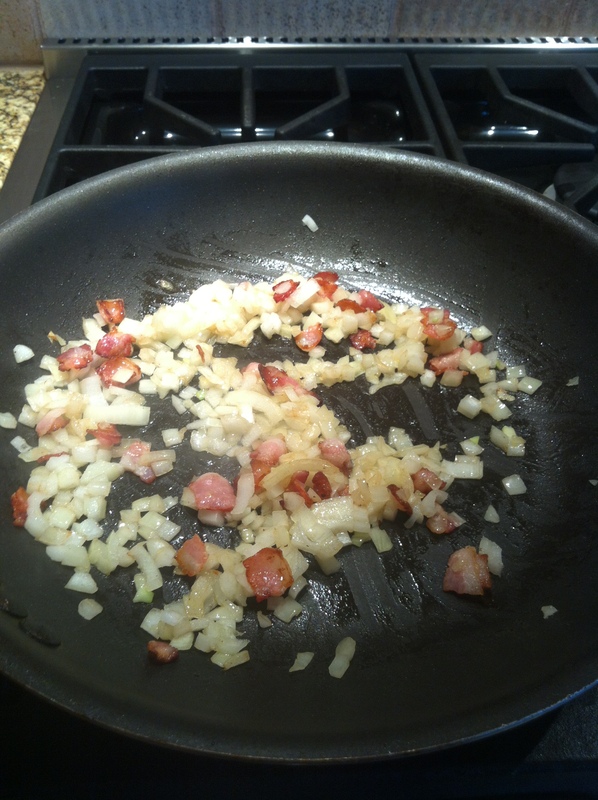 If using bacon cook halfway, then add onion to pan; sauté 4 minutes or until tender. 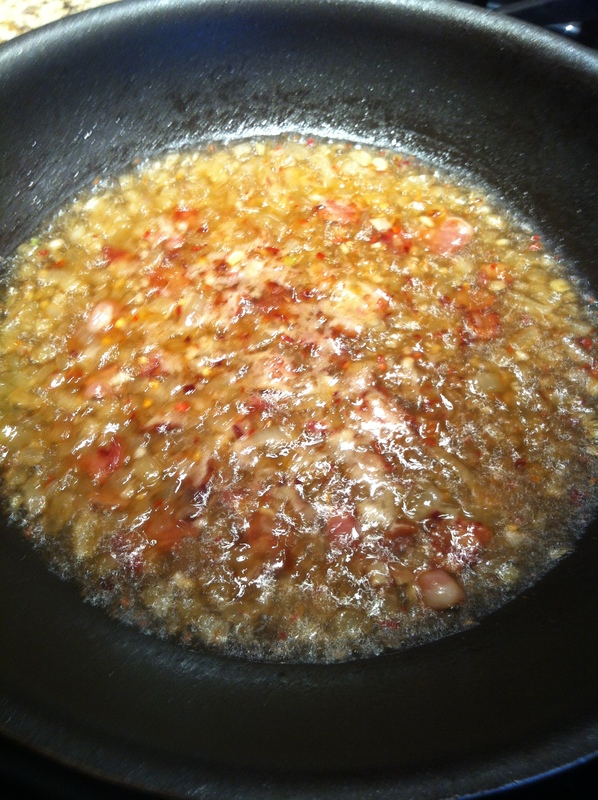 3) Add 1/2 teaspoon salt, pepper, and garlic; sauté 1 minute. Add vodka; bring to a boil. 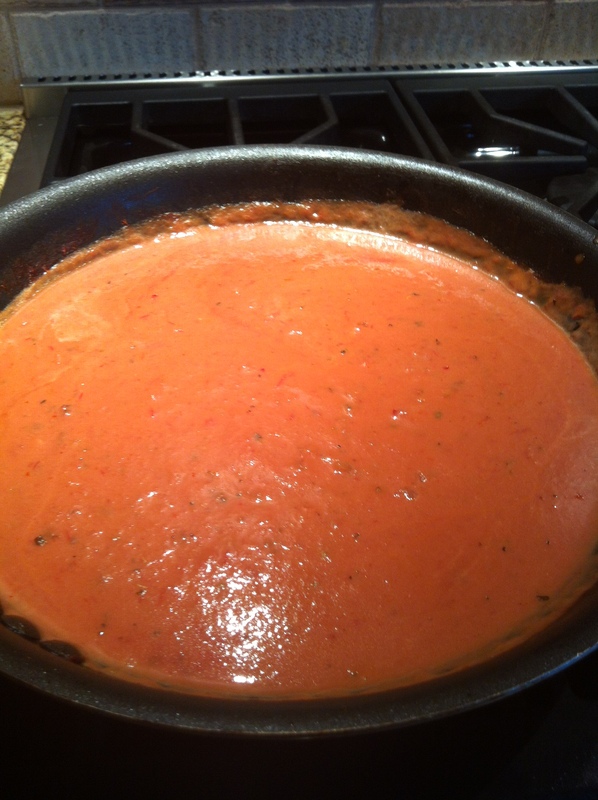 Reduce heat, and simmer 3 minutes or until liquid is reduced by about half. 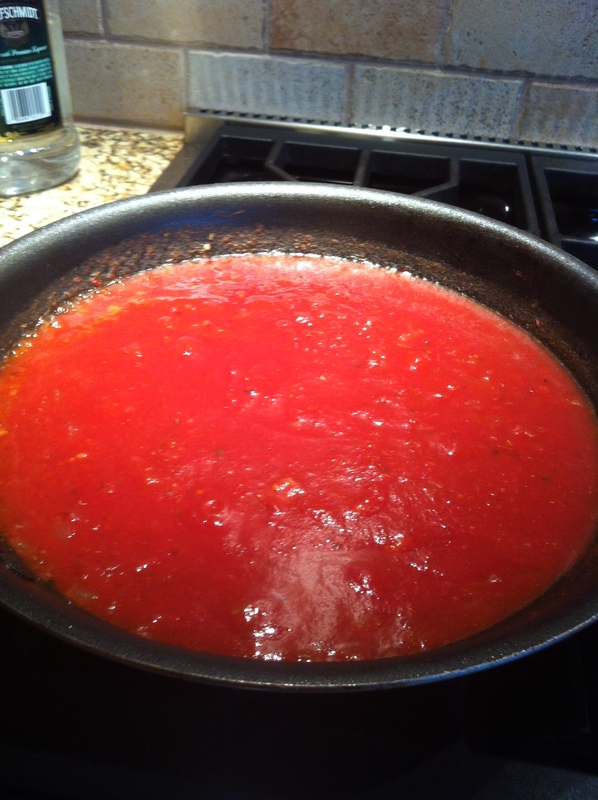 4) Stir in 1 teaspoon salt, broth, and tomatoes; bring to a boil. 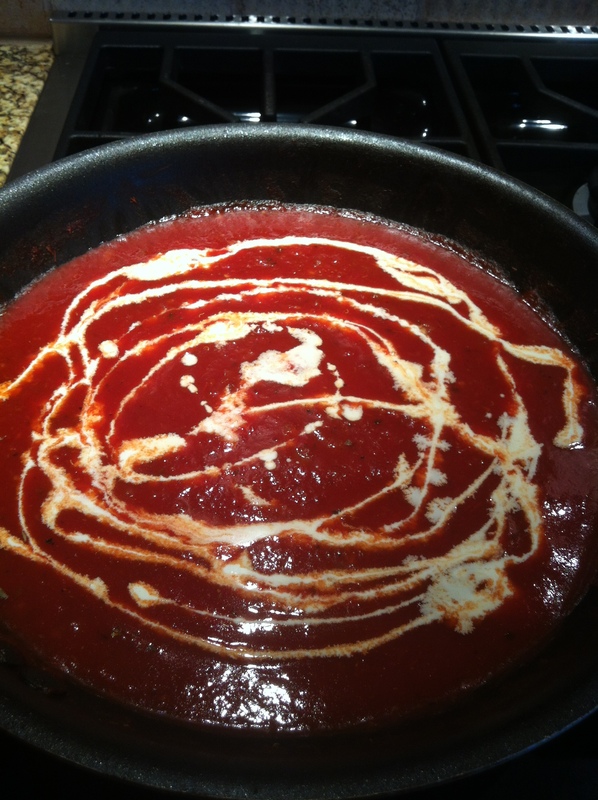 Reduce heat, and simmer 8 minutes. 5) Stir in cream. Cook 2 minutes over medium heat, stirring constantly. 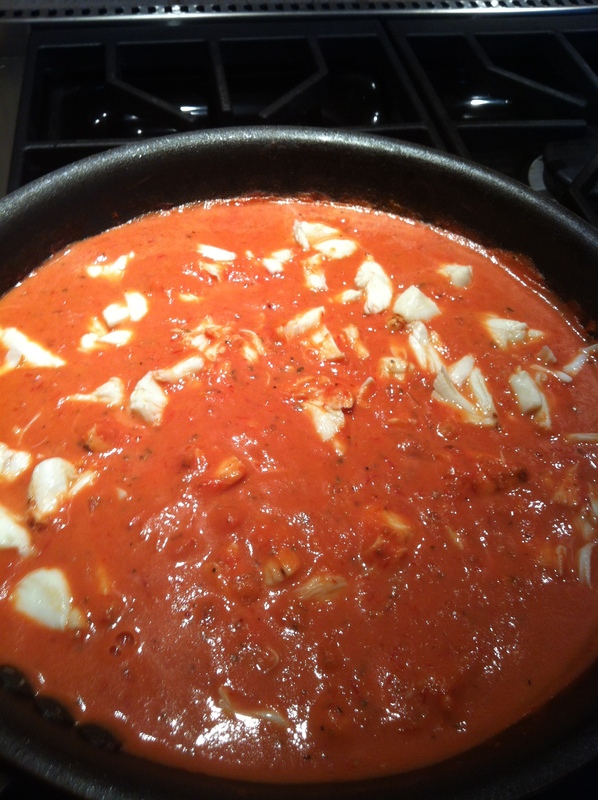 6)Add Crab Meat Remove from heat. 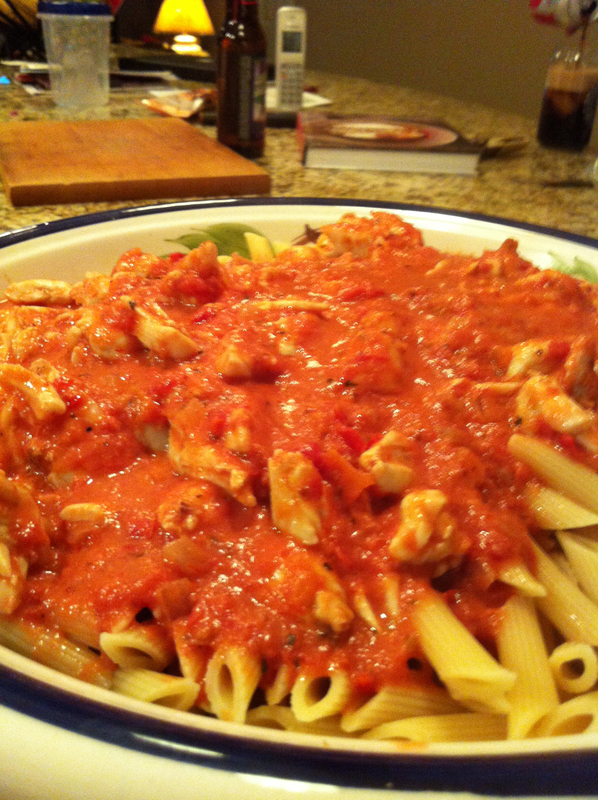 Stir in cooked pasta, remaining 1/2 teaspoon salt, and basil. Serve immediately.